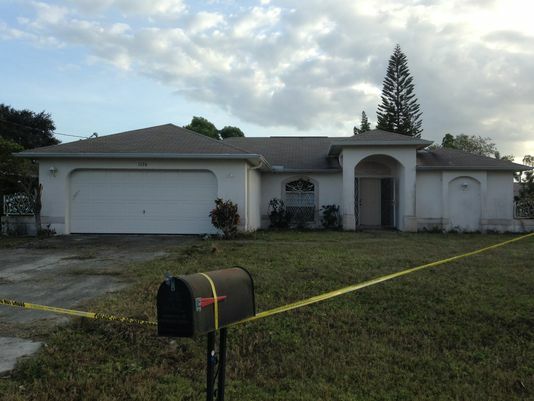 A Florida man won a foreclosed house at auction only to find a decaying corpse on the floor of the master bedroom. William Wilson bought the light pink ranch on a sleepy Cape Coral block for a relative steal, $96,000. It did not take long for him to find the body presumed to be that of a woman missing for three years, he told the News-Press, a local newspaper. Friends and family had not seen the previous owner, an elderly woman, since she went missing since November 2011, according to the paper. The grass and hedges needed to be trimmed and the house was littered with her belongings. "The inside was a mess," Wilson recalled. "It looked like [someone] was packing to move. There were a lot of boxes, some pictures of children on the fridge." And a body was on the floor. "You couldn't tell who it was," Wilson continued. "You couldn't tell if it was a male or a female ... it's disappointing and a sad thing that nobody cared enough to check." Neighbors told the News-Press it never occurred to anyone to check on the missing woman. "It's sad about the whole thing," said Bill Harrigan, who lives across the street. Three years went by and people went on with their lives. But another neighbor was unnerved by the discovery. "I didn't know them," Liz Palma told the News-Press. "It's very strange, all those bars on the house. I never smelled anything ... that's just freaky. I'm freaked out." A pet bird inside the home filled its cage with feces, Wilson said. The dead body decomposed to the point of being unrecognizable, but the smell was unmistakable. Another neighbor, Gary Oben Jr., took advantage of the empty home, often parking his van in the driveway, he told the paper. "I had a hunch," Oben said. "Either it was a grow house or there was a dead lady in there." But he never said anything – neither did anyone else.